Rats and Mice are not liked by many of us and if we see any we want them removed. Poison is used by most pest control companies and has been a very good method of control. There are several problems with using poison, firstly the issue of secondary predation where other animals take the poisoned rodent as food and the pungent aroma from decomposition within a property. 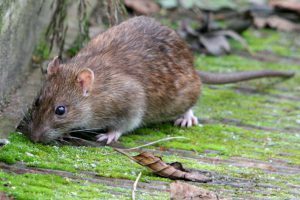 A lot of pest control companies in large populated areas are reverting to using traps as rodents become immune to the first and second generations of warfarin. We will work with you giving you all the non-toxic options to control any rodents that you may have. The most common rat found in the UK is the brown rat, rattus norvegicus. Second is the black rat, rattus rattus, preferring elevated areas. In the wild they can live up to 3 years the average being 12 months. They can breed up to 6 times a year giving birth to a litter of 6 – 12. They breed all year round. They can grow to 25 – 30 cm. They stay close to a home once they have established themselves. They will travel up to 1k looking for food. They can get in a very small hole provided they can get their head through. They are very good swimmers and climbers. They carry a variety of diseases. The house mouse and field mouse are the most common found in the UK. They can get through a gap the size of a pencil. They feed on seeds and crops. House mice breed 7 – 8 times a year, 5 – 15 per litter. Field mice breed twice a year.